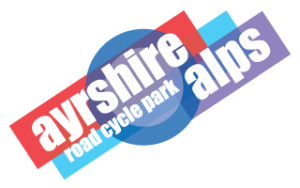 The sportive season is well underway for the members of Ayr Burners Cycling QTS with many big events being hosted across the length and breadth of Scotland. Last weekend it was the turn of East Ayrshire to provide the backdrop for the ‘Tour of Ayrshire’ – a 100 kilometre loop featuring the best scenery and the hardest hills in the local area. Five Burners took to the start line in what was to become a very challenging day with high winds and 4000 feet of ascent making it tough going for all the participants. On the off-road front Laura Cunningham headed to Dunoon for round 2 of the Scottish Cross Country Mountain Bike series. On a fast and technical course Laura put her skills to good use to claim the top spot in the senior female category, with Jane Barr of Velocity 44 taking the spoils in the Elite female category.